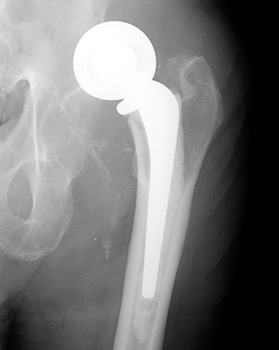 Patients must avoid hip flexion greater than 90 degrees (shoes and socks must be put on with adaptive equipment, and any hip adduction (no crossing of legs). 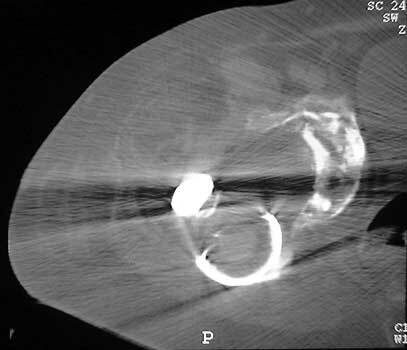 Lateral inclination 40 +/- 10 degrees. 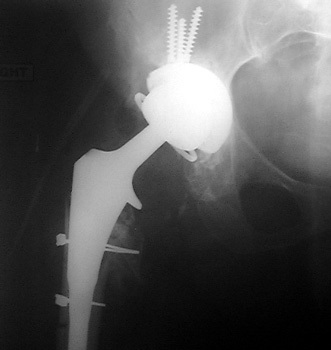 Dislocated bipolar hemiarthroplasties in 2 different patients. 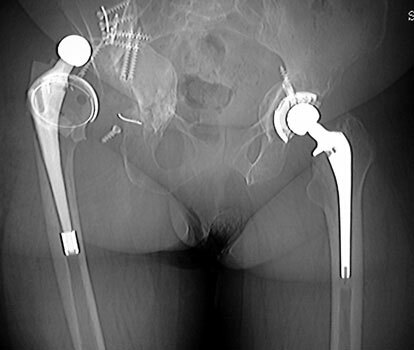 Dislocated femoral component related to non union of greater trochanteric osteotomy. 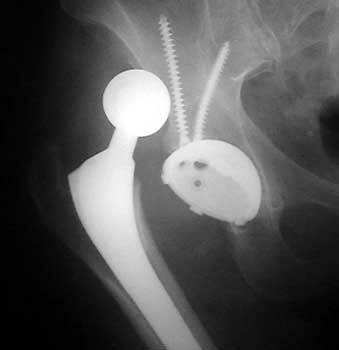 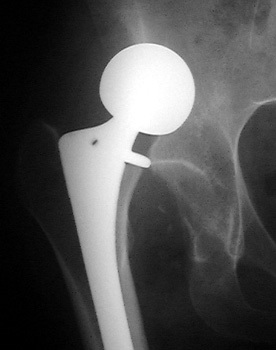 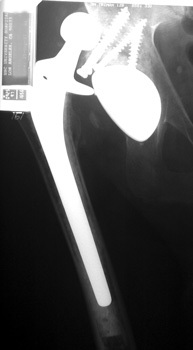 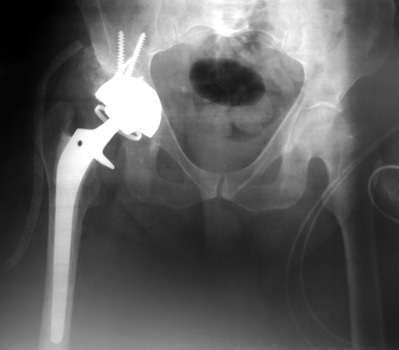 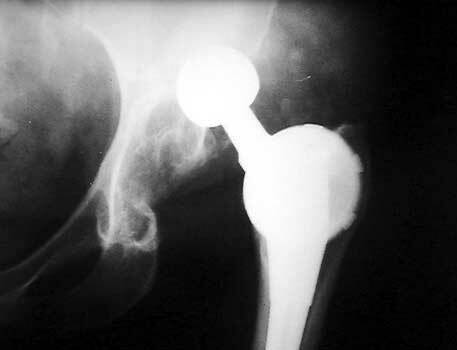 Post operative radiograph with constraining ring about femoral head, which helps maintain head in cup. 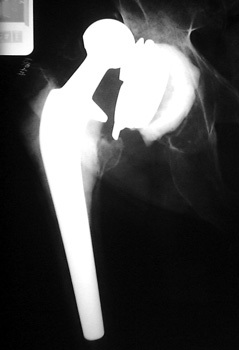 Greater trochanter resected. 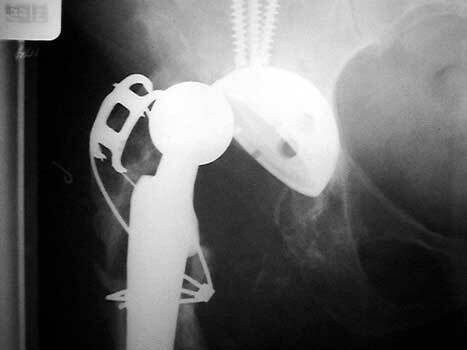 Dislocated femoral component and acetabular cup in grossly loose arthroplasty. 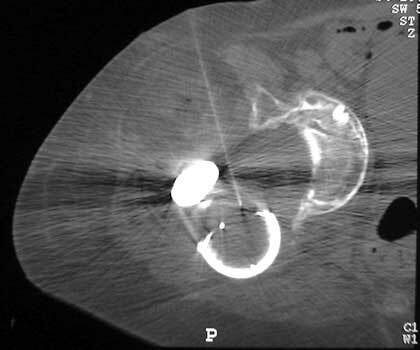 CT guided aspiration to rule out infection.